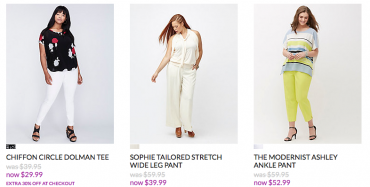 BOGO Free Clearance Lane Bryant Clearance Items! Great Lingerie Deals and MORE! Possible FREEBIES With $10/$10 Lane Bryant Coupon! $10 Off Any Lane Bryant Purchase! (Valid 12/12/16 – 12/16/16! Lane Bryant: Buy 1 Get 1 50% off Jeans & Bras! Also, 75% off all Clearance! 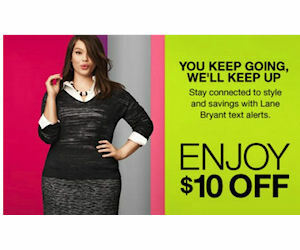 Lane Bryant: $10 Off $10 or More!